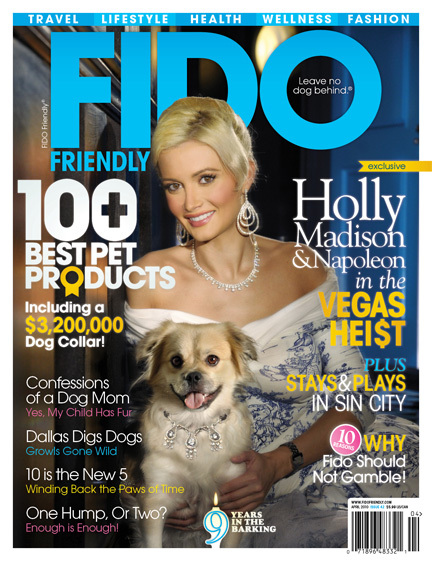 Fabulous Fur Fighting Air Beds for Fido and Felines! Gertie Gear™, an American Kennel Club Summer Gear Guide Pick, Now Available with NEW Hair and Dirt Repelling Slipcovers. 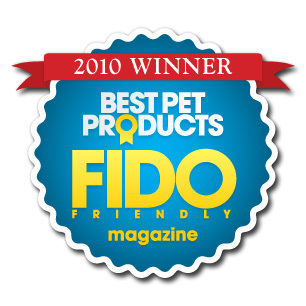 Aug 15, 2010 – Westland, Mich. — Michigan based Gertie Gear™ continues to impress the canine/business industry and anticipate the needs of customers with especially furry (shedding) friends. 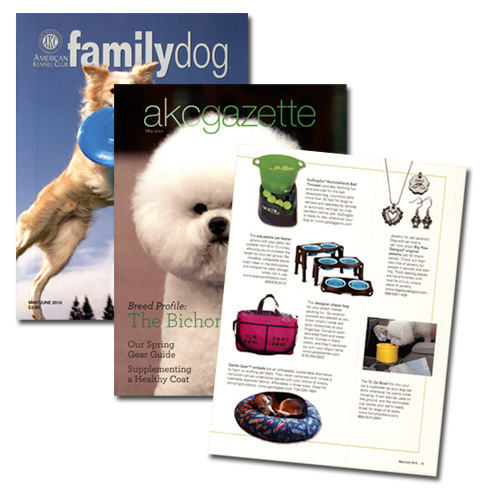 The American Kennel Club (AKC) is the nation’s largest, oldest and most prominent organization for canines and breeders. 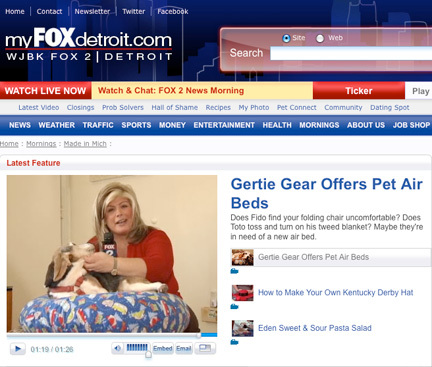 After the splash Gertie Gear made in the AKC’s 2009 Holiday Gift Guide, the stylish, yet rugged pet air beds became a FIDO Friendly magazine’s 2010 “Best Pet Products” Winner, a “Made in Michigan” special feature on Fox 2 local morning news, and was again chosen by the AKC for its Spring/Summer Gear Guide seen in the AKC Gazette and AKC Family Dog magazines (May 2010). 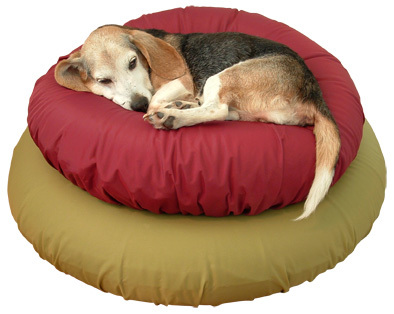 King designed the first pet air bed for her senior beagle, “Gertie” in 2007. Gertie, her “sister” (a heavy shedding mix breed) and household felines have been enjoying the cozy air beds ever since. The vet recommended, orthopedic solution has a natural nesting area which conforms to the body providing complete support and comfort while raising the animal off of the hard, sometimes cold or wet ground. Gertie Gear air beds are especially beneficial for older pets and larger breeds that often suffer from hip problems and/or arthritis. Affordable in three sizes, with choice of slipcovers from fun cotton and flannel prints to embellished microsuedes and cozy fleece, Gertie Gear has a pet bed to fit any style, decor or even season. The new nylon fabric is currently available in burgundy and a neutral beige tone, but a variety of other colors, including camouflage, can be special ordered upon request. For more information and news, please visit www.GertieGear.com and/or become a “Gertie Gear” fan on Facebook.